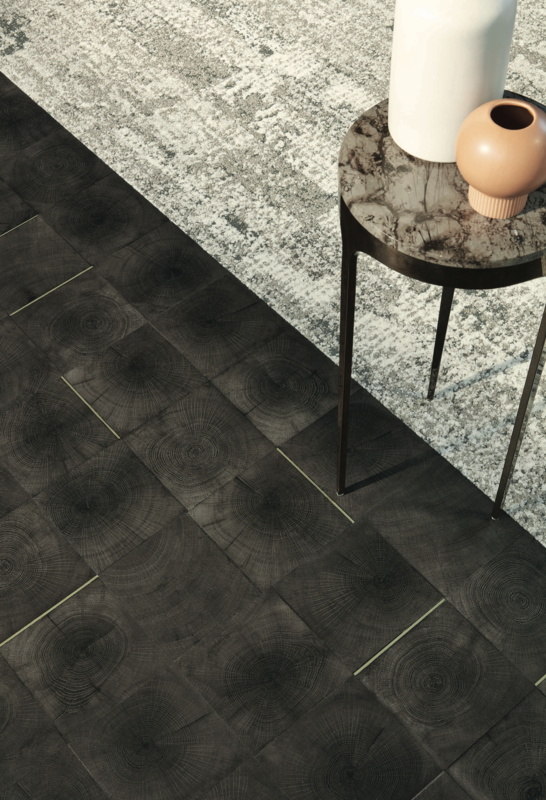 Product design is integral to the success of a new flooring collection. Whether planks, tiles, carpet or LVT, style is always a key driver. As such, flooring manufacturers are looking to the creative community for new inspiration. 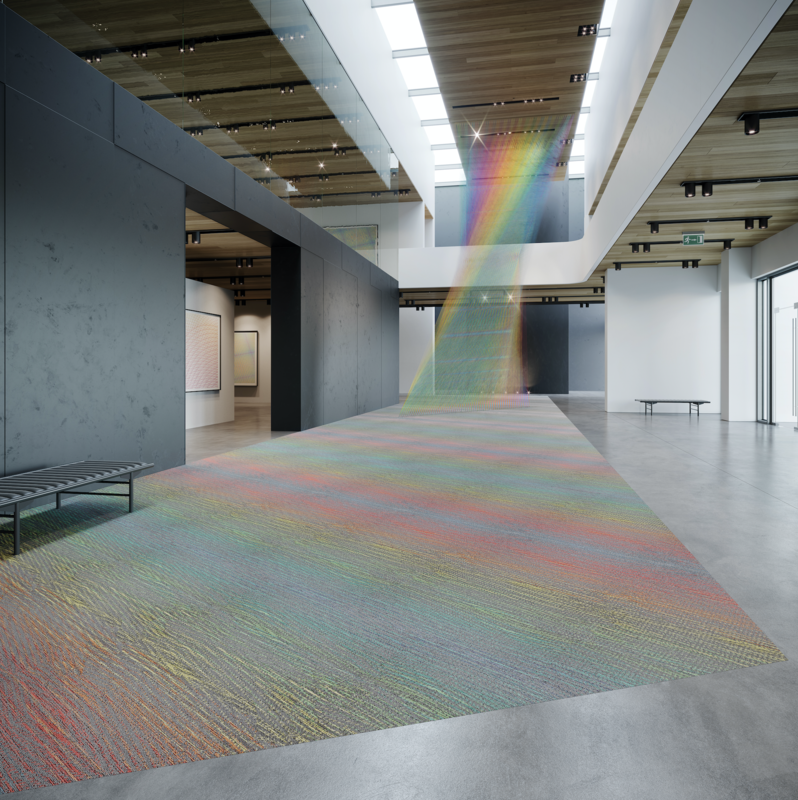 Designers, designer firms and even artists are partnering with flooring manufacturers to develop eye-catching, on-trend product lines suited to the needs of the commercial building sector and its eye on design. by Virginia Langley, fashion textile designer. The Camélia Rose carpet collection is a Durkan Specify for the Cure PDI (precision dye injected) collection. Specify for the Cure supports Susan G. Koman’s fight against breast cancer. All patterns are also available in Durkan’s Definity technology. “Both the Rose and Camélia flower over centuries have been a symbol of longevity and purity, and the rose is especially symbolic of love and passion. In the Victorian Era, when pink and red Camélias were sent to someone, it meant that you were the flame in their heart. To all the women who have gone through suffering or loss, who show us and inspire us with their beauty and strength ... to me, you are all ‘the flames in our hearts.’” –Virginia Langley. designed in collaboration with Rockwell Group. Explore the art of nature’s sequential movements and expressive transitions between scenes with Natural Choreography, a collection of two products designed in collaboration with Rockwell Group: shear 0945V and cut 0922V. These two unique visuals allow this hard surface to pair seamlessly with most Shaw Contract and Shaw Hospitality carpet tiles. “Rockwell embodies a hospitality approach that has appeal across many segments. We have an existing relationship through previous collaborations and were curious to see what the outcome would be for a hard surface product. Rockwell set the foundation by presenting the idea of a product that merged materials; brass and wood, marble and metal. 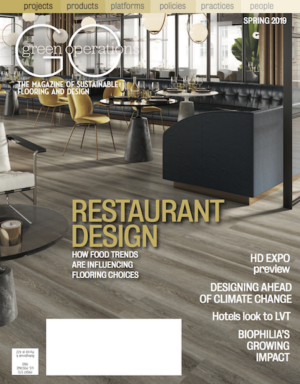 By using familiar materials, but creating a product with a twist, the end result was an adaptable, yet unique approach to resilient flooring.” –John Crews, manager of the Lifestyle Studio for Shaw Contract. inspired by the ethereal art of Gabriel Dawe. 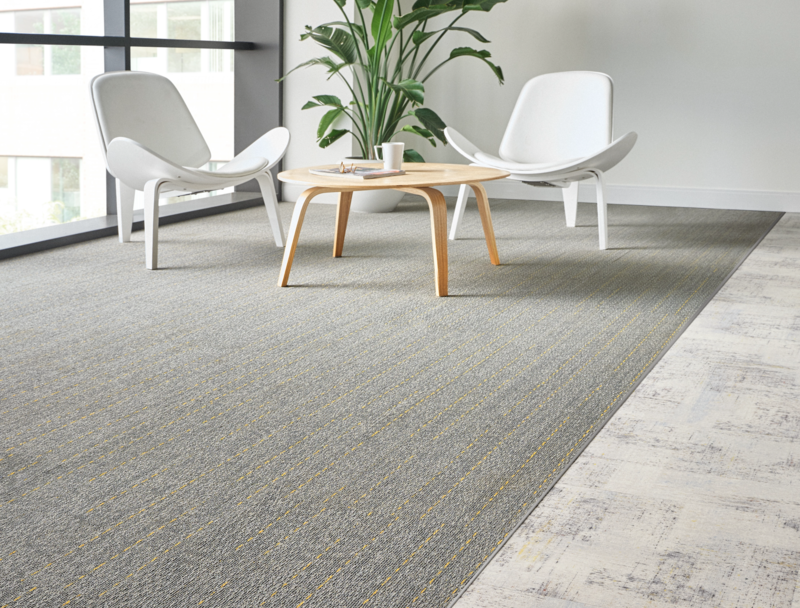 The Moiré collection brings a dynamic sense of color and light to modular plank and broadloom. Dawe’s art uses miles of thread in delicate color gradations to form unique shapes that evoke the spectrum of light. The moiré effect is inherent to his work. Layers of lines and shifting colors ripple with new patterns as the viewer’s perspective changes. The collection captures this creative possibility of the moiré effect at a variety of scales. Touches of high-luster yarn create light within the designs to enhance the sense of dimension. 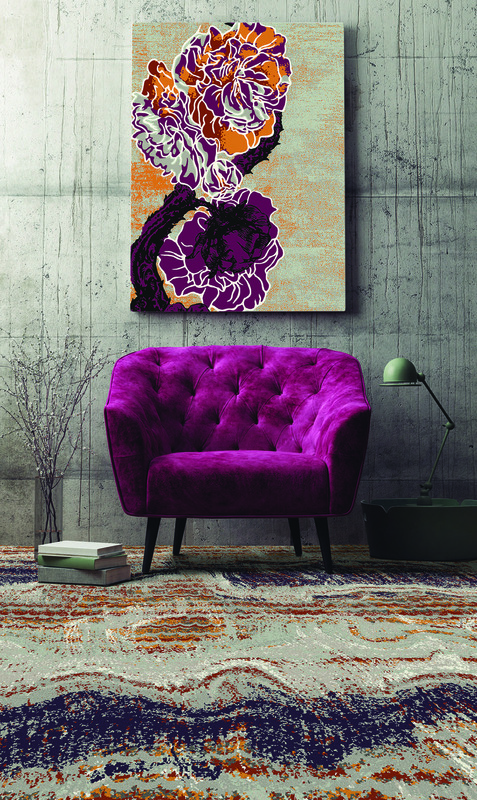 The collection is crafted to help designers bring artistic energy and an inventive use of color to their spaces. by Suzanne Tick, textile designer, studio principal and consultant in New York City. Inspired by the unfinished and exposed raw materials used for industrial printing techniques, Offset and Balance create a casual sophistication that doesn’t feel heavily designed. Both styles create the illusion of having a fuller texture and provide outstanding performance with permanent stain resistant properties. With an agile approach to design and the convenience of QuickShip, these two styles work together to bring industrial resourcefulness to any project.